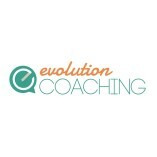 Welcome to Evolution Coaching, LLC, the nation's premier choice for Professional Resume Writing, Career Coaching, & Outplacement Services! Our team consists of Certified Professional Resume Writers and Career Coaches who have worked as Hiring... Managers in Fortune 100 companies, University Career Advisors, Freelance Resume Writers, and Professional Recruiters. Using our professionally-designed layouts, we know exactly how to optimize your resume to capture your personal brand and represent your life’s work. With our extreme passion for helping others, your success is our success! We provide 100% satisfaction as evidenced by our reviews AND the cost for our career service is tax-deductible! Did you recently graduate? Are you seeking a promotion? Are you changing careers? Do you need help with your interviewing skills? Are you transitioning to a civilian position from the military? Are you in your mid-to-late career and making a change? Do you need a resume and cover letter to post for a position ASAP? We can help you with these situations and MUCH MORE! Take control of your career! Contact us today!